How do you maintain a truce with a harsh alien species with which you can barely communicate? And how much more fragile is that truce when all your decisions are made by a distant bureaucracy riddled with self-interest and political agendas? One betrayal could start an inter-species war. 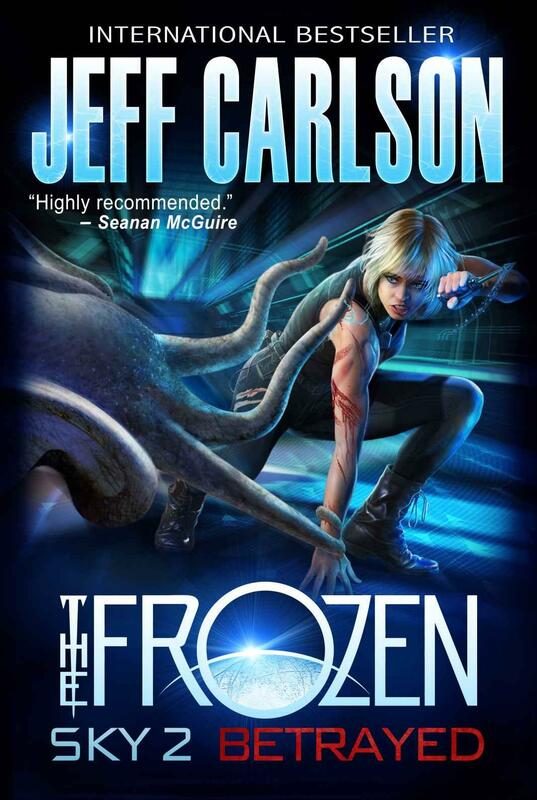 Betrayed is the sequel to The Frozen Sky by Jeff Carlson, an author who has had a number of novels which seem to be a mixture of self-published and traditionally published works. The Frozen Sky was a terrific read, so I was quite eager to see what he did with the sequel. Both novels are set of Europa, a moon of Jupiter. It’s not the first time that I’ve seen this moon as a focus of first-encounter fiction. The story revolves around discovery of and interactions with a species of life-form on Europa known as the Sunfish. 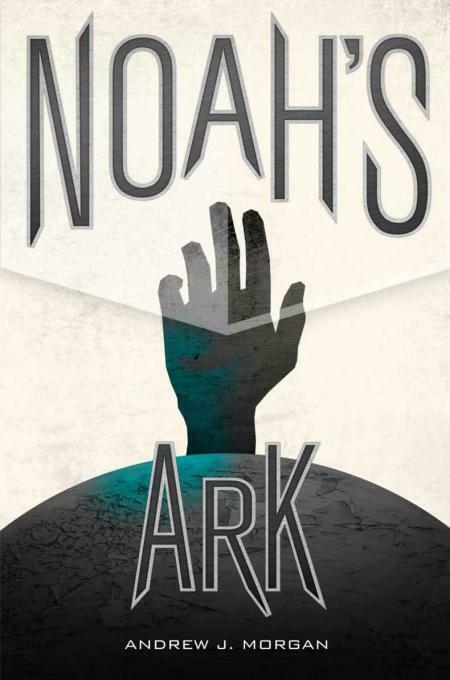 The environment in which the story takes place is rich, plausible and fascinating. In this novel, the plot covers a crisis point in the ongoing truce between Humankind and Sunfish. It does not attempt to build up the situation over days or weeks, nor does the crisis endure over a long period. Instead the entire story fits within a matter of a day or so, and as such, is a tense, action-packed sequence. What develops, does so very quickly leaving the onus on the reader to keep pace with several intelligent scientists and engineers as they interpret the actions of the Sunfish and attempt to avert a war. It was a thrill ride that I thoroughly enjoyed. Vonnie, the engineer and main character of the first novel returns in this novel as an ambassador for the Europa mission, working directly with the Sunfish. She has become a controversial celebrity back on earth and we see her developing some political smarts whilst trying to stay true to her mission of developing a truce with the Sunfish species. As a reader we essentially inhabit Vonnie over the course of the story and everything is related from her perspective. Her self-doubts and internal conflicts are exposed which allows us to see more than just a tough and determined heroine. I’m not one for too much romance, especially if it feels “bolted on”. However, romance is introduced through Vonnie in a way that added to my appreciation of her character. Her feelings towards Koebsch and Ben added nuance to the story without dominating it. The writing matched the pace of the story well. I didn’t sense any awkwardness or gaffs in the prose and the atmosphere remained consistently tense and exciting throughout. The concepts presented seem well-researched from my inexpert perspective. I read this feeling like the Europa mission was a possibility in our future and the attempts to understand an alien discourse also felt plausible. I would highly recommend both of Carlson’s novels The Frozen Sky and Betrayed. There’s plenty of action, an icy subterranean world to explore, artificial intelligence, a completely novel species to meet and the old favourites of politics, petty rivalries and deceit. What’s not to love? What schemes are hatched when a young and wealthy dandy is tempted by his mischievous servant with the possibility of a lecherous conquest in Florence? A barren wife, flea-bitten partners in crime and the eventual culmination in a drink of the Mandragora brew; that cures as well as kills. Mandragora is inspired by the Renaissance comedy, The Mandragora, penned by Niccolò Machiavelli and is apparently the only novel written based on that play. The novel is set in the Renaissance, mainly in Florence, and involves the machinations of a servant, Siro, and his master, Callimaco Cagliostro. Together, they hatch a plan to bed the young, and apparently barren, wife of an aging Florentine lawyer, Nicia Calfucci. I have not had much exposure to ribald fiction, and the lack was my main incentive to read Mandragora. Along with my equally missing experience with the play on which it is based, this possibly leaves me without some of the foundation required to critique it in depth. However, I shall try to couch it in terms with which I am familiar. To me, the plot and the characters somewhat resembled Blackadder, the television series written by Richard Curtis and Ben Elton for the comedy genius of Rowan Atkinson. I loved the series and reading this novel was like reliving the antics anew. The plot to bed the young and beautiful Lucrezia under the very nose of her husband is bound to become convoluted. The debauched accomplices who join our Casanova hero in his lecherous scheme provide a filthy and humourous sideshow. The doddering and impotent Calfucci, the imperious Sostrata and the innocent but canny Lucrezia provide the obstacle course through which our ill-matched gaggle of conspirators must navigate. And when the Mandragora poison/cure is introduced and Lucrezia acquiesces the twist is revealed and lust becomes love which becomes lust. Our cast is, in general, a set of caricatures, required to elicit the appropriate raised-eyebrow response as their exaggerated exploits are related. Calimacco, our Casanova, is handsome, used to getting any woman that he desires, and easily corrupted by his devious servant. Siro, the silver-tongued, lives for intrigue and the service of his master. It is around him that the story pivots to an extent, as he is the instigator. In the story, we discover whether his naughty scheming is to be rewarded or punished. The other key character, in my mind, is the beautiful Lucrezia. Pure and religious, a virgin perceived as barren, whose awakening to desire parallels smutty adolescent jokes about Catholic girls gaining sexual independence. She is the trophy, but she’s also the judge and jury of both Calimacco and Siro. The supporting cast of scoundrels and dupes add to the spectacle. In particular, Ligurio’s pervasive mis-speakings often coaxed a giggle from me. The writing attempts a flourish of allusion and wit and largely succeeds. The phrases circle the meanings rather than issuing clear statements and the more filthy topics are often implied rather than described. It’s a style that probably coaxes the dirtier parts of the reader’s mind, to meet the narrative half-way and elaborate in privacy on what is unwritten – the reader now an accomplice in the nudge-nudge, wink-wink of the prose. I liked Mandragora. It isn’t politically correct in any sense and you can’t help feeling a little dirty after reading it. However, it’s a guilty pleasure that has intelligence behind it; an homage to a style of ribald story-telling, written with flair and a more sophisticated turn of phrase. I enjoyed my little detour into literary lechery and I think others that don’t mind indulging that secret desire for a little snigger and sass will enjoy it too. A serial killer on the loose, a government agency covering-up the murders and Propser Snow’s dark secret isn’t so secret anymore. Only a deal with the devil will reveal the truth. The story starts with a serial killer much like the last novel, but this time Snow is being kept from the investigation by an arm of MI5. As the body count rises, Snow becomes more intent on finding out why these murders are being buried. Soon enough, he is dabbling in unlawful behaviour again, until he figuratively sells his soul to find the answers. With shady intelligence organisations and cover-ups, it’s no surprise that a conspiracy or two is uncovered along the way. However, what was finally revealed was a little over-the-top for me. It wasn’t uninteresting, just a bit silly. Now part of the MI5 task force, Prosper continues to search for the killer, but when he finds him, everything is turned upside-down and Snow finds himself in a desperate fight for survival. The twists and turns create the right impact, but the implausibility of the underlying concept becomes a dance into absurdity, only salvaged by some impressive thriller-style chases. Unfortunately, the conclusion is a bit of a fizzle with little in the way of satisfying resolution. Everyone wins, or loses, depending on your perspective. It’s all Prosper Snow in this novel, which is a good thing. This character is the highlight of the book and what drew me to the sequel. In the first book, we were exposed to how far Snow could go when his loyalty was demanded, but in this book I think we see a darker side coming out. Prosper touches and teases that inner animal, that do-what-it-takes-for-survival instinct, and warps it with a growing desire – an exhilaration that’s beginning to scare him, but to intrigue me. I always like to explore that dark edge in people’s personalities, that element kept hidden even from themselves. In this novel, Snow’s containment has been breached and what seeps out threatens to overpower him. Other than the fact that I love this character’s name – who wouldn’t like the name Prosper Snow? – this character provides a vehicle for some interesting questions. How far would we go for friendship and loyalty? How far would we go to protect our families, or ourselves? And would we start to relish our actions in the process? Prosper’s only surviving friend, Wolfe, also makes a reappearance, but he’s a little less interesting in the sequel. He’s bullied into assisting Prosper with his shenanigans and becomes more of a sidekick in Killers. He lacks a certain independence that made him interesting in the first novel. The prose used by the author is solid. I only spotted a few small errors, but otherwise, the story flowed well. The shorter chapters kept the pace moving and although several scenes needed to be gruesome, the author was relatively restrained with the descriptives without eliminating the impact. 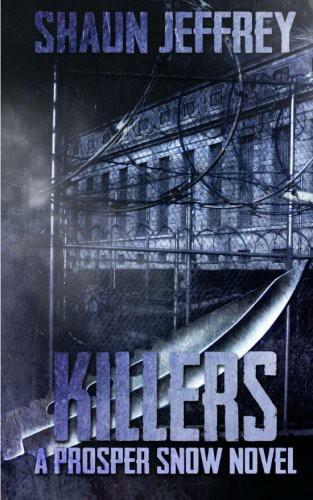 Unfortunately, I can’t really rave about Killers. It had some strong elements, and Prosper Snow is certainly one of the more interesting characters I’ve encountered in this genre. However, the story was just too much and then, at the end, not quite enough. What would you do if you found out that you could be invisible to the people around you, but only when performing morally questionable acts? Would you exercise this ability? Bitter Orange attempts to explore this rather fascinating situation through the eyes of our hero, Seth Harrington. Harrington discovers, quite by chance, that he has the ability to remain undetected when shoplifting, an event that may have gone unnoticed if not underlined by additional incidents in the local movie theatre. As the story evolves, the protagonist progresses from accident, to experiment, to intent. As his actions become more brazen, he confronts some more unsavoury aspects of his personality hiding under the surface. The plot itself transforms in a less cohesive way, for me, than the personality of the main character. At first, the story seems like it is going to use invisibility literally. However, as the book progresses, the author seems so invested in the main character’s past, personality and internal dialogue that I started to think of the story as a metaphor. Just as I had become comfortable with this direction, however, the plot quite suddenly becomes decidedly literal – only in very last part of the narrative. Not only is this transition bumpy, but the story ends abruptly in a question mark – leaving me feeling like I had read a unnecessarily long short story written for effect, rather than a complete novel. 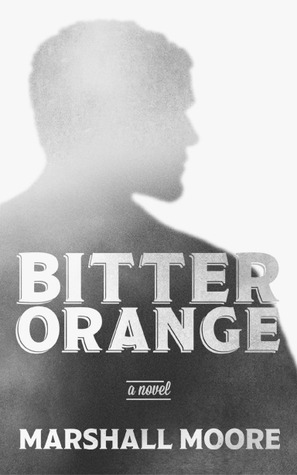 To me, Bitter Orange is a book with two stories merged together – not quite successfully. Firstly, there is a short story about someone who develops an “ability” that leads him to a particular and interesting outcome that would leave a reader with a satisfied raised eyebrow. This is a short story I would have enjoyed. Secondly, there is a more involved narrative about a burnt-out corporate high-flier who retreats from life after his partner dies in New York’s September 11 attacks. An appearance of invisibility is manifested by his dwindling investment in life and, as a reader, we follow his journey on the outskirts, wondering if he can find his way back to significance and complete visibility. Could it be found through the resolution of his feelings towards his roommate? A headless body, a follow-up murder that appears unrelated until grisly evidence arrives in the mail. A serial killer is on the loose and as the body count rises, DI Lorne Simpkins finds that she is short of clues and time is running out. 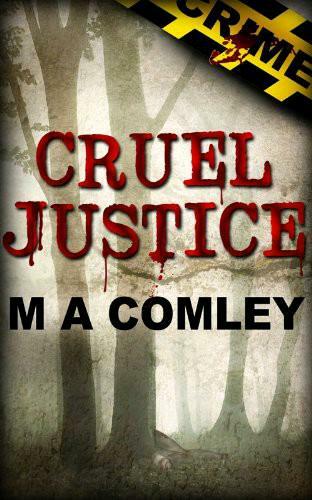 Cruel Justice is the first book (chronologically) of a series of crime mysteries featuring DI Lorne Simpkins. 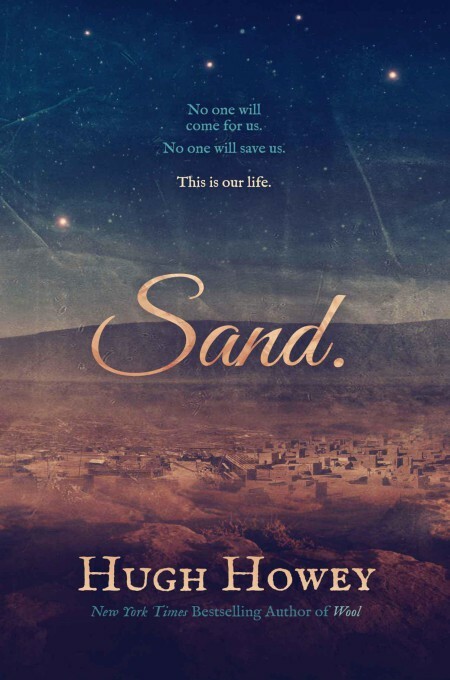 I have to say up-front that I did not like this novel at all, but before I launch into a list of things I didn’t like I thought I’d cover the one aspect that I thought was admirable – the prose itself. Not only was the book I read completely error free, but although I might have had an issue or two with the effectiveness of the writing in certain scenes, there was nothing amateur-ish about the sentence construction. I thought, overall, it was effective and of publishable quality. It might seem like an insignificant aspect of the novel to praise, but for me, it’s worthy of mention. That stated, not much else about the novel delighted me. I had noticed that this book was labelled by some as a police procedural. It was a terribly unfair label for this novel and I wish I hadn’t seen it before reading. I would have lost all faith in any police force that had operatives functioning the way DI Simpkins did in this novel. The most noticeable aspect of her investigative procedures were that they did not exist – at all. She was a muddle of impulses and gut feelings to the point where she would simply ignore or refuse to investigate the most obvious leads – not even to ensure that they were logically eliminated. She could not have come across less like a real DI if she had followed leads from a psychic. Oh wait – she did! Not only that, but when the psychic’s visions were actually concrete, there was no questioning of said psychic as a suspect. Our intrepid investigator instead decided to try and get her added as an ancillary resource to the case. I’m serious. If the detective’s lack of credibility wasn’t bad enough, the book also felt a bit like an impostor. 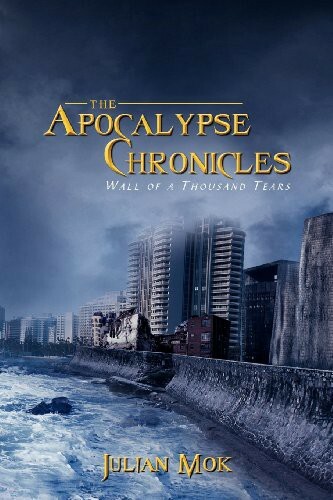 It is pushed by the author as a gritty thriller. Although there is an obvious effort to make the story dark and disturbing, it seems a little bolted on. The first scene, in particular, tries to take the reader to a dark place, but it felt totally lifeless to me. I felt no atmosphere, none of the fear or horror I should have felt with such a scene. It read like an express train to disgusting in an effort to quickly guarantee the classification of the novel. So if I didn’t think it was a gritty thriller, or a police procedural, what did I think it was? In my opinion, this novel felt like a romance that attempted to cross genre boundaries. Simpkins seems to play the part of a “woe is me” woman whose husband is selfish because he doesn’t continue to shut up and support her regardless of the impact on his own life. Her marriage is threatened because of his selfishness and completely beyond her control – hmmmm. At this time, she suddenly develops a strong attraction to a work colleague. Apparently, she had nothing but distaste for him, but is now all aquiver; his handsome appearance and his French accent turning becalmed waters into a choppy sea of confusion – and hormones. To top it off, her superior retires to be replaced by a man with whom she had a “past”. Complications abound in Simpkins’ life. How is she going to cope with all these men? How is she going to save her marriage? How is she going to solve this crime? In fairness to the author, I’m exaggerating the romantic melodrama for effect. For a romance suspense cross-over it could well be that these elements were on point. Unfortunately, it came across to me as a romance in a clumsy costume, which brings me to my conclusion. Grain of salt time. This was, quite clearly, not a book for me. I don’t have much exposure to romance suspense cross-overs and usually avoid them. It was perhaps an error of judgement on my part to choose this book for review and I can’t guarantee that I’m giving it the most appropriate perspective. Additionally, it seems that this series is quite popular, with plenty of fans who are obviously getting something out of it that I am not. However, if you happen to be more aligned with my tastes when it comes to crime mysteries and gritty thrillers, perhaps this review is useful. The morning after a girl’s night in, Desley discovers that the home her friend returned to was burned down overnight. Where is her friend and whose is the unidentified body found in the ruins? 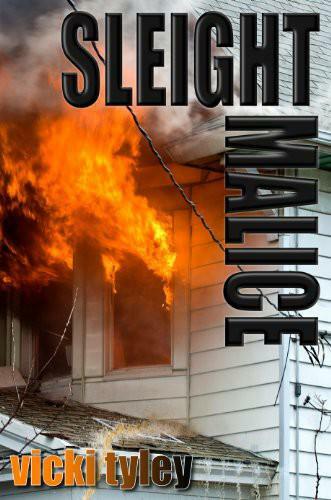 Sleight Malice is Vicki Tyley’s second crime/mystery novel. I reviewed her first novel, Thin Blood in 2012 (review here). This is a whodunnit that seems to have extended into a whosthatwherearetheyandwhodunnit? The author has decided to make the sleuth an ordinary woman with her own web design business and her client, a newly established ex-detective private-eye. The choice to focus on an amateur rather than a professional usually allows the author to focus a bit more on character development as the protagonist is dropped into a situation that’s bound to provide multiple challenges and conflicts. However, it does come with its own set of issues. I believe it’s harder to make such a story believable as the reader will ask: is it realistic that she could succeed where the professionals would fail? In this case, it helps that Desley is assisted by an ex-detective, but I still don’t think the question is comfortably answered in the affirmative in this story. Leaving plausibility aside, the story itself is a good one. 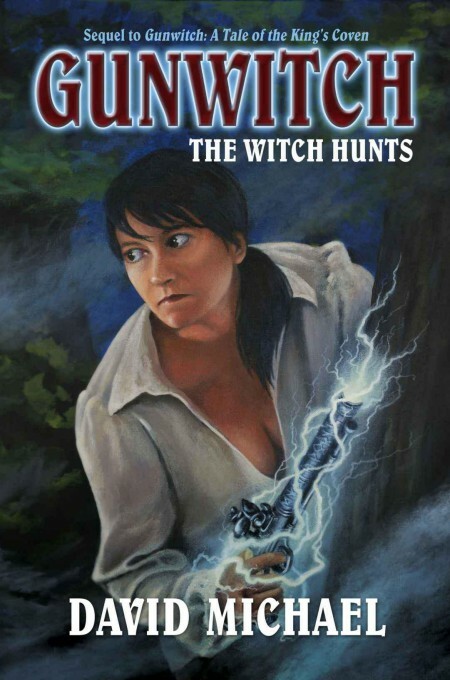 The story has side-plots, misdirection and sufficient twists to make it an intriguing read and I received the additional benefit of following a story set in the environs of Melbourne and country Victoria, which always adds interest for me. So the plot ends up with a nice tick from me. Definitely worth the read. There are two main characters: Desley, our inadvertent sleuth, and Fergus Coleman – and ex-detective employing Desley to build the website for his new private-eye business. OK, let’s get it out of the way immediately. There is sexual tension between the two characters. I’ll let readers find out whether that tension actualises in any meaningful way, but its existence affects how they relate to each other throughout the story. Desley is a fairly strong-willed and independent character. She has an ex, who has a pretty strong role in the story, but is an impediment rather than a support. I liked the character but could find her annoyingly stubborn and closed to people. It wasn’t an unrealistic state given the obvious hazards of allowing her ex any benefit of the doubt. However, what frustrated me more was that I found her dialogue to be rather clunky and unnatural at times. Fergus provided a less satisfactory point of view for me as a reader. His character suffered from a couple of things I find particularly frustrating. Firstly, I become quickly uninterested in a character whose observations of another character revolve almost entirely around his/her appearance. Secondly, he has an almost stereotypical view of women which he’s happy to share with the reader at any opportunity. I feel like an alien when I encounter characters like this and I’m not sure if it reflects the author’s lack of understanding of the male psyche or, even more disturbingly, an absolutely accurate view of the male psyche. Either way, it tends to disconnect me from the character and affects my enjoyment of the story. Other than some issues I had with dialogue, the writing is spot-on and error free. The author is clearly a good writer and I can’t imagine anyone submitting any claims to the contrary. I liked Sleight Malice. I think some of the choices the author made in characterisation might mean I’m not the ideal target audience. I guess I’m not really a “women are like this”, “men are like that” kind of reader and I’ve never understood every interaction spawning parallel threads of admiration for someone’s appearance. However, the plot itself is a really good one and definitely worth the effort.